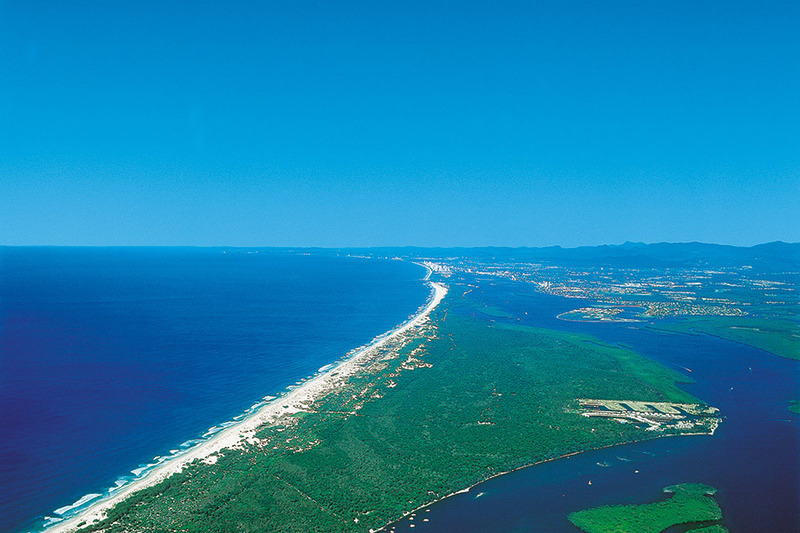 Some people call Bribie boring, I prefer to think of it as a relaxed getaway. 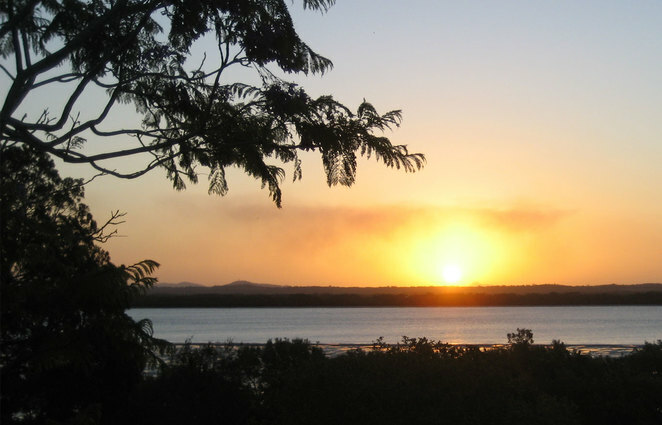 This suburban island close to Caboolture is a short drive from Brisbane. The main attraction is the 30 km of white sandy beaches that back onto bushland. There are numerous bars, restaurants, cafes, takeaway shops and grocery stores, which makes it a perfect day trip without need for any preparation. The main locations for shops and restaurants are at Bongaree Beach and the southern end of Woorim beach. You don't have to walk to the beaches. The southern end of the island is very accessible with Red Beach and the southern end of Woorim Beach right next to the suburbs. You can also walk the Southern end of Island from Pumicestone Passage to the Seaward side along 8 km of beach that backs onto bushland. There are many 4 wheel drive tracks that you can take. So you can easily get away from the crowds. There are some locations accessible by boat and the Island can make an excellent stop on a fishing or boating trip. This is the island to go to if you want to get away from it all without having to go very far. 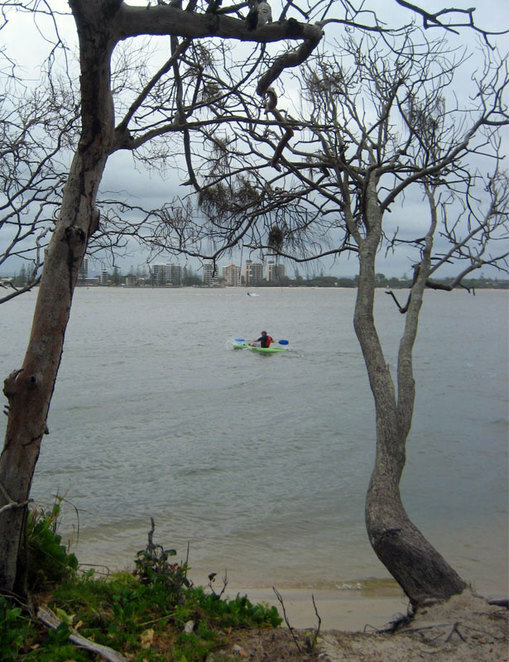 My favourite way to visit Bribie Island is to kayak Pumicestone Passage from Golden Beach in Caboolture. It is a a short paddle across the passage and then a 10 minute walk over to the seaward side of the island. It is also possible to kayak the southern end of the passage as well. There are also places in Coloundra and on Bribie Island where you can hire boats of varies sizes and varieties. So you can easily paddle, sail or boat across to or around the Island. 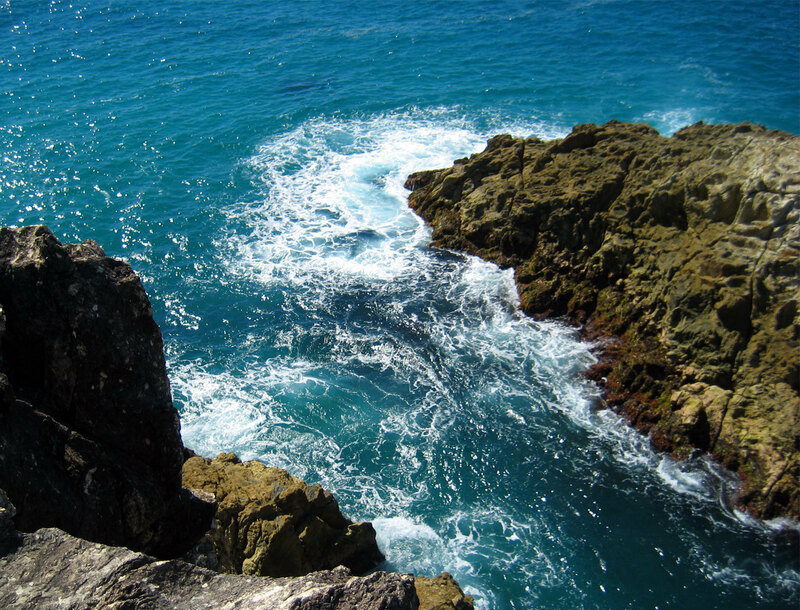 When Brisbanites want to escape to an island, they head to North Stradbroke Island. This island is just a short car or passenger ferry trip across the bay. Most people who don't take their own car immediately jump on a bus to head to Point Lookout. This little resort town has accommodation that runs from cheap seaside camping grounds through to very comfortable resorts. The attractions are the beaches and gorges. 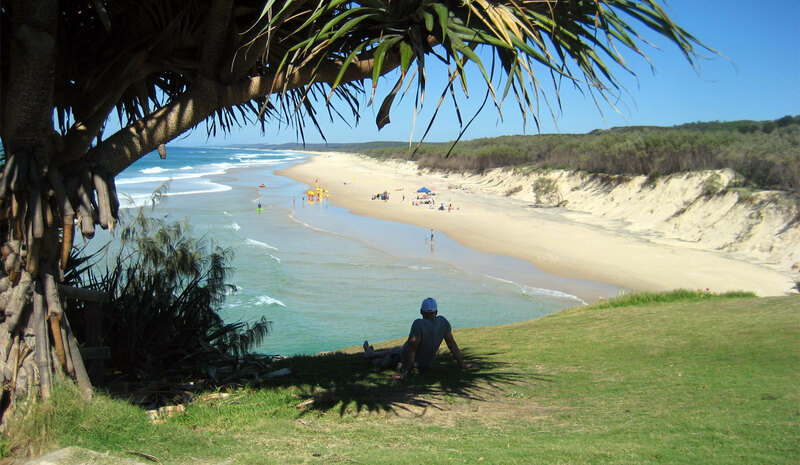 For a day trip most people do the gorges walk that starts at the north point of Main Beach and heads north up past two lovely gorges, where you will see numerous aquatic life including sea turtles and dolphins. Once past the second gorge you you will be at the main takeaway and cafe strip. Once you have an ice cream in your hand, you might as well keep going. 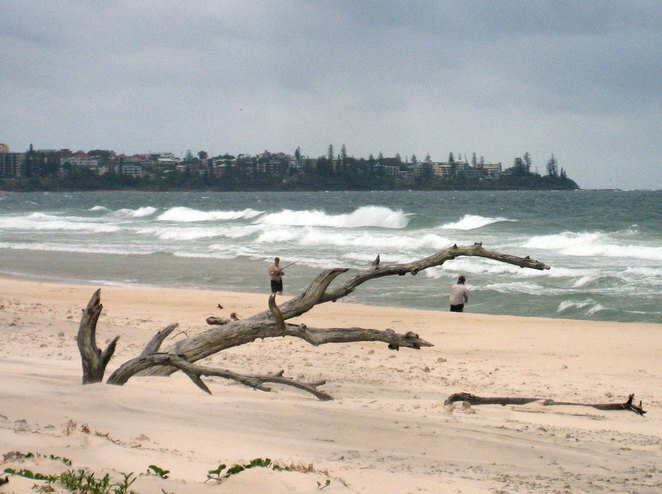 The best swimming destination is Cylinder Beach, which is just past 2 other beaches. You could just keep going along the beaches all the way to the town of Amity beach, but this is a little far for a day walk. This quiet town attracts fewer visitors but has a number of cottage style accommodation. Other popular destinations include walking at Brown and Blue Lakes. While you can take a conventional car near these locations, you ideally need a 4 wheel drive to get to the lakes. Alternatively course walk the short distance up the sandy roads. Serious campers and hikers go to the Main Beach Camping Grounds 6 kms along Main Beach. This camp ground has no water, but it is a great place to head to if you have a 4 wheel drive vehicle. Many visitors to Brisbane dream of going to Fraser Island, yet ignore the closer and more accessible Moreton Island. 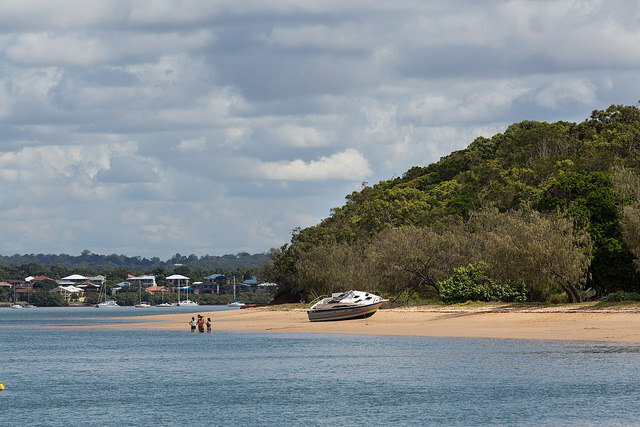 This fantastic sand island is accessible as a day trip from Brisbane and offers a range of travel options. Most younger tourists take the adventure option but it can also be a great place to relax over a weekend. Getting to Moretone Island is fairly straight forward. The Micat ferry takes both vehicle and passengers to the island from the Port of Brisbane. You can travel on this ferry without joining a tour. There are also tour boat leaving from several locations, including the Redcliffe Jetty. Some tour options are essentially the trip over. When you have arrived you are free to explore until the time that the boat returns. You can also fly to the island. 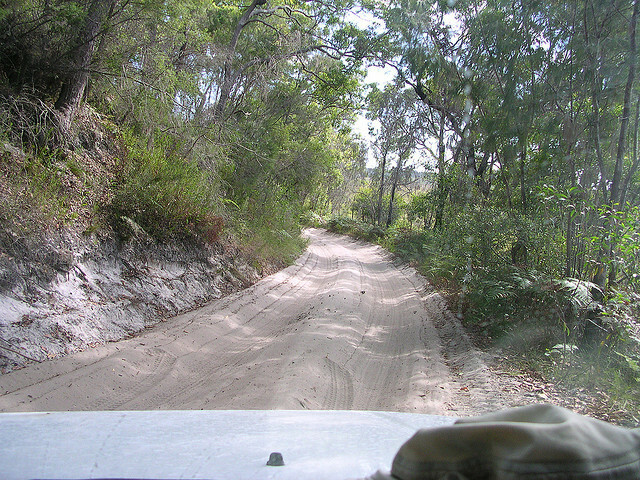 Getting around Moreton Island is not so easy. You will need a 4 wheel drive, though there are 4 wheel drive buses on the island. 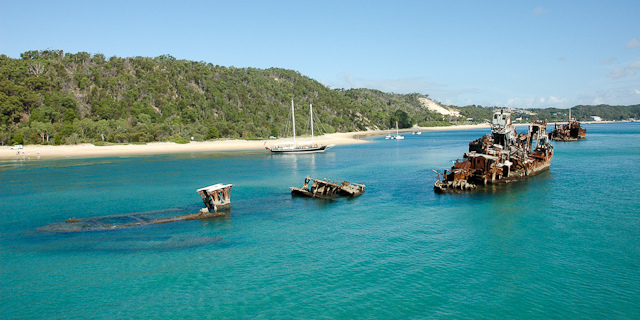 Moreton Island is a popular hiking destination with several camping spots around the Island. Of course though you can just stay in one of the resorts or hotels. For this island I would either recommend going completely independent, and hiking and 4 wheel driving around, or join a tour so you can see and do everything in a day or two. There is a lot to see and do on this island. These include snorkeling or diving one of the 15 shallow water wrecks around the island, sand boarding, walking over the world's highest coastal sand dune, seeing some of the history, meeting the dolphins, tacking a dip in a lagoon, hiking, and enjoy food and cocktails at a beach side resort. 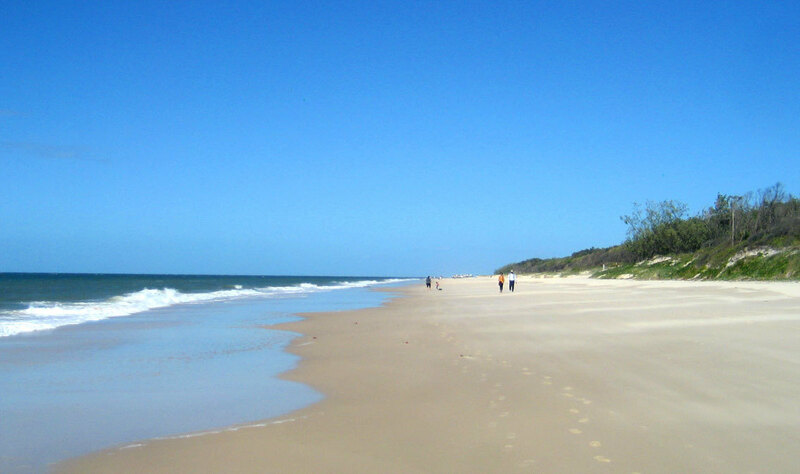 Or to put it another way, this is Fraser Island in a neat package without the danger of dingo attacks. A quick change of pace is needed here. King Island off Wellington Point is easily reached during low tide by simply walking along the exposed 1 km sandbar. That is right, Brisbane has such a diversity of islands, you can even just walk to one of them. 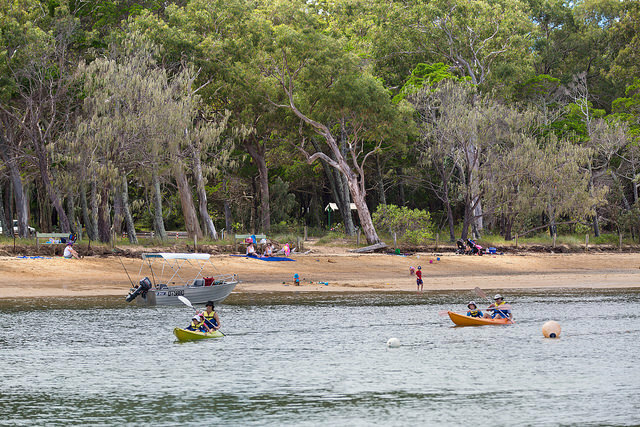 First of all Wellington Point is a lovely picnic and barbecue location which is popular for fishing, kayaking and even has a little beach for swimming. There is also great little cafe. Then when the tide is low you can head out to King island. 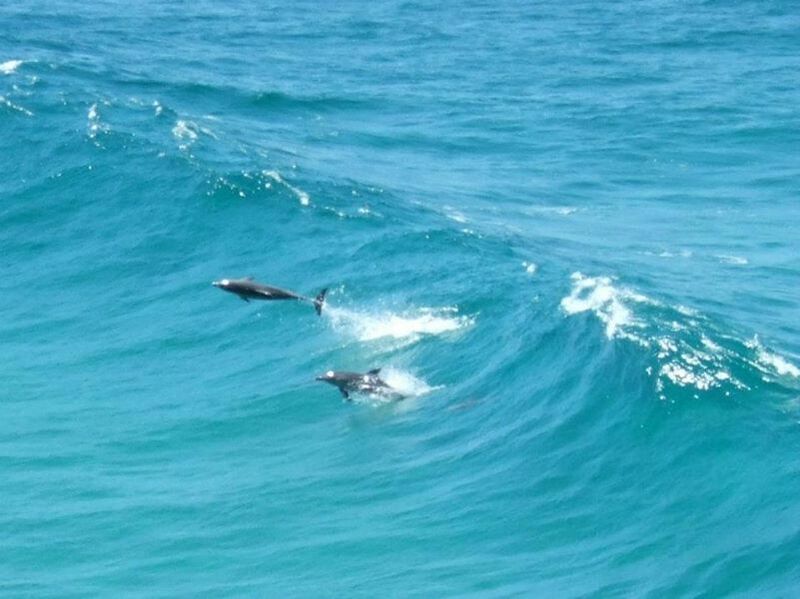 From here you have a great opportunity to see the aquatic life of Moreton bay. Another change of pace is needed. 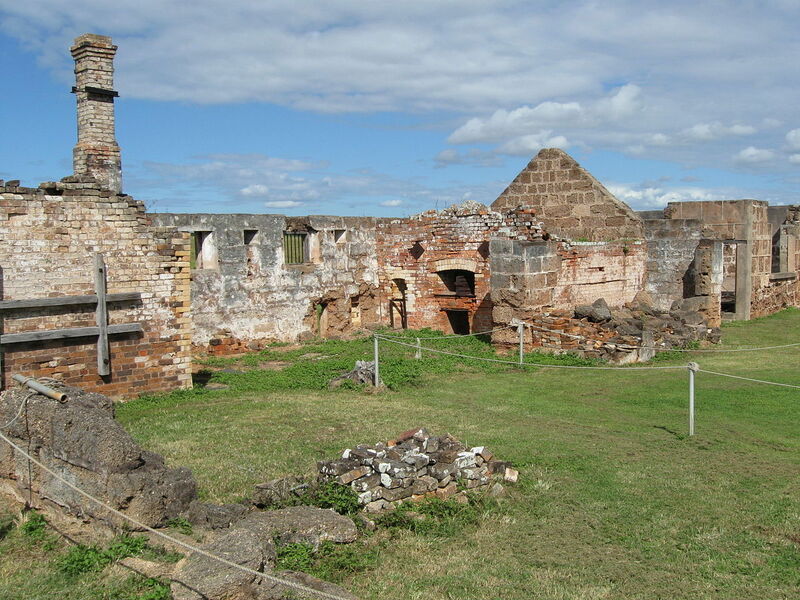 St Helena Island is not often visited, but should be on everyone's list. Being a heritage site where the ruins of the buildings that made up Brisbane's most notorious penal colony are preserved, you can't just wander around the island. There is a picnic area for people who visit by boat, but if you wish to visit the ruins, you need to join a tour. Tours start at $74 dollars for adults and $42 for children. Included in the price are the boat to the island, dramatised presentation and tour as well as lunch. Night ghost tours are $95 for adults and $50 for children. South Stradbroke is seldom visited and if you don't have your own boat, then you have to join a cruise. These cruises usually include lunch and access to facilities at one of the Couran Cove Resort. There are lots of places on the islands advertising themselves as resorts. But all you really need to meet that criteria is to have a couple of other facilities that a hotel doesn't have, such as a tennis court. But Couran Cove Island Resort really has the full resort feel. This can be a great romantic day or weekend escape. Certainly an option to consider for a weekend away. 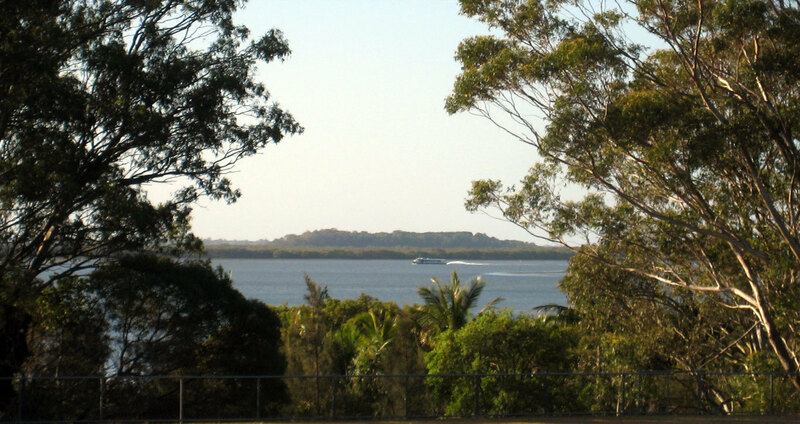 Of all of Redland Bay's suburban Island, Coochiemuldo is the one to visit. First of all, remember, no one calls this island Coochiemudlo, it is only every referred to as Coochie. 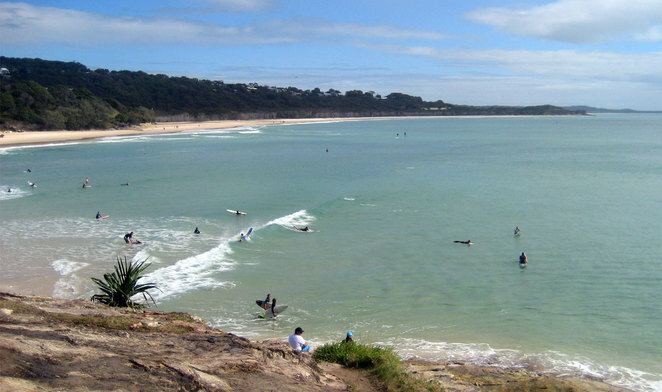 About half the coast line is beach, so it is a great location for swimming, sea kayaking or other aquatic activities. This is a great family day out, while the more adventurous might consider kayaking around the whole island (this takes about 2 hours). Ferries make the 1 km trip to the Island from Victoria Point. This is also the ideal place to launching your own boat or kayak if you wish to travel to the Island independently. While not an international standard tourist attraction, this is Brisbane's local secret. If you are a Brisbanite then you should visit the island at least once. 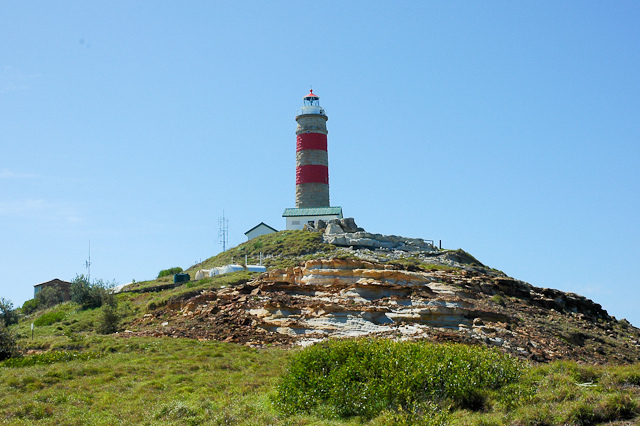 If you have a young family, this island is a great place to escape the city. 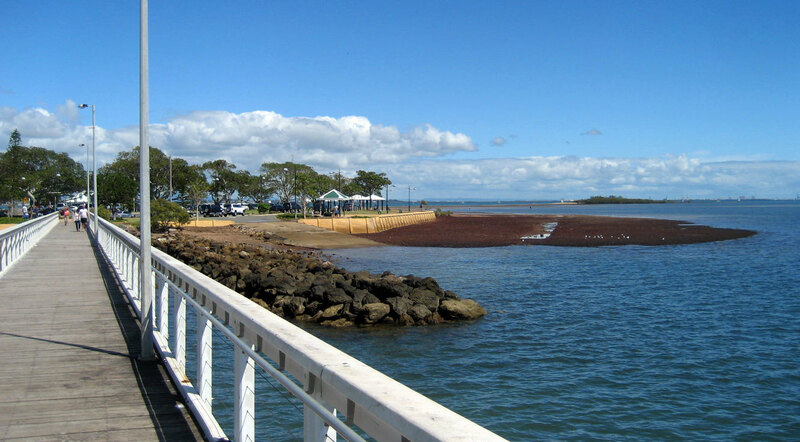 There are 4 suburban islands in Southern Moreton Bay that are visited by the same passenger and car ferries. These islands are almost exclusively suburban with some small nature reserves. 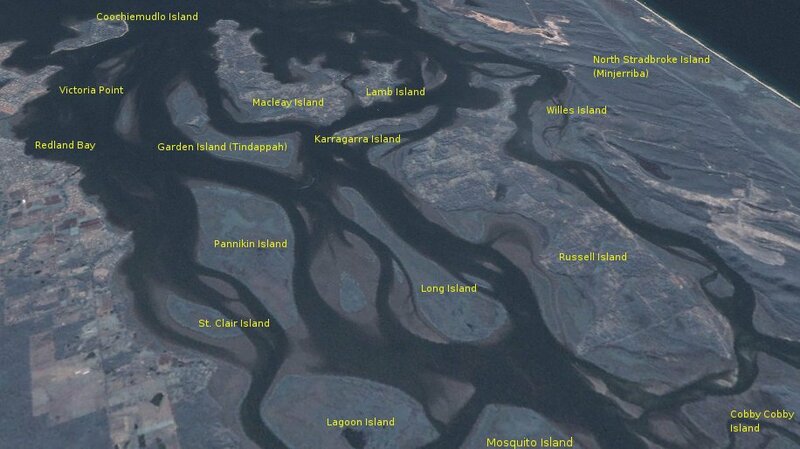 Macleay Island is probably the most interesting. The Macleay Island ARTS Complex features arts by artists from the local area and the Macleay Island Bowls Club is the place to eat on the Island. With no buses or taxis on the Island, either take your car across, bring a bicycle or walk the 4.5 km. If you plan to eat at the Bowls Club then they have a courtesy bus. 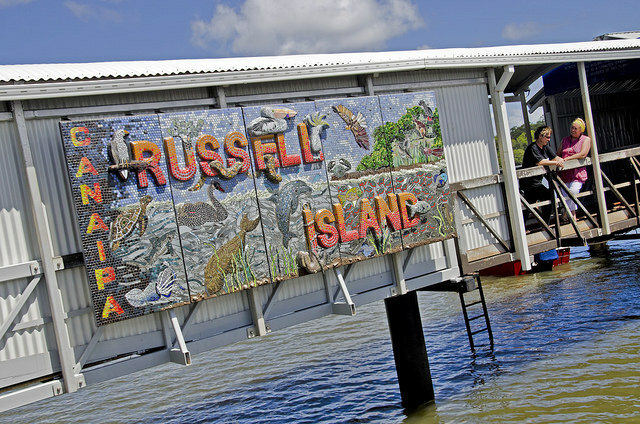 Russell Island also attracts some visitors, but once again this is really a suburb rather than a tourist destination. Visit if you are curious but there are much better islands to visit in the bay. There are also a number of other uninhabited islands in the bay. Peel Island is the most popular. 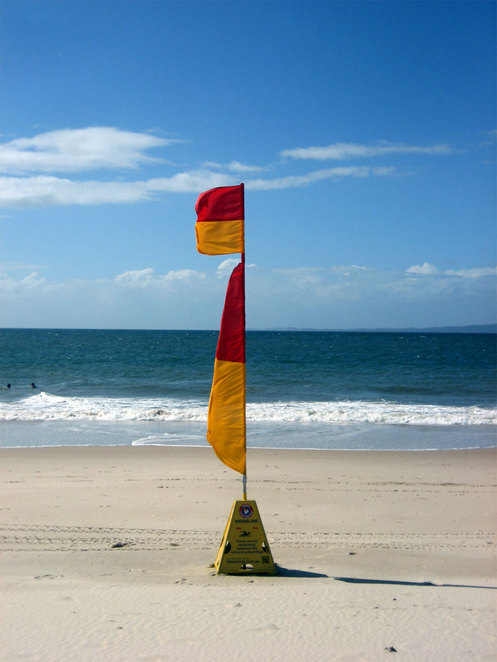 It is a often used by sea kayakers as a destination or stopping off point on to North Stradbroke Island. 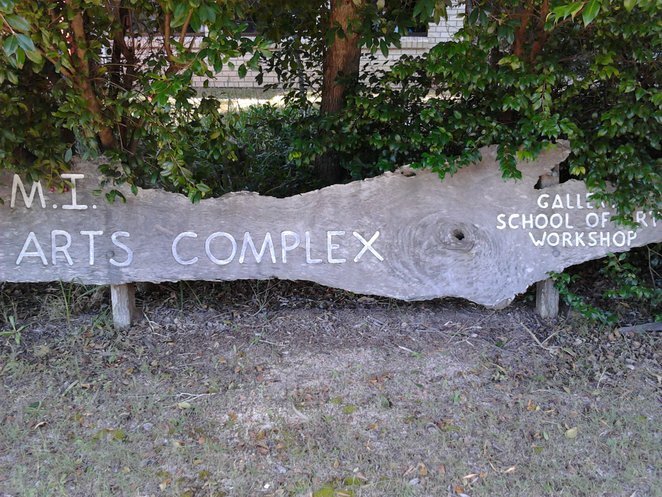 Part of the appeal is a large and well maintained picnic area on the island. The lagoon is also popular for people with boats, but on busy days it is impossible to get in unless you arrive early. It has also been used as filming locations for movies such as Unbroken and one of the Pirates of the Caribbean movies. Other islands that sea kayakers I know visit include Green Island and Garden Island. But for kayakers, any spot where you can get out and stretch your legs is a welcome stop.